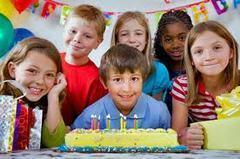 Welcome to Funtastic Party Rentals Online! Funtastic Party Rentals is the premier source of quality and affordable bounce houses, combo slides, water slides, interactives, tables, chairs, popcorn, cotton candy and snow cone machines. Proudly serving Roseville and the Greater Sacramento Area since 2011. Funtastic Party Rentals specializes in delivering safe and fun inflatables, and party equipment for any type of celebration or event. 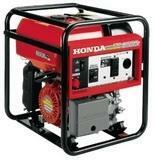 We take pride in all of our equipment, all units are cleaned and sanitized prior to each use. We are also licensed and insured. Reserve a jump house today and we'll bring the FUN to your party! Contact Funtastic Party Rentals at (916) 517-9702 for bounce houses in Roseville, Rocklin, Citrus Heights, Antelope, Granite Bay, Lincoln, Folsom, Auburn, Sacramento, Fair Oaks, Carmichael, Orangevale, Arden, Natomas, Rancho Cordova, El Dorado Hills, Loomis, Elk Grove and West Sacramento. Some areas are subject to a delivery fee, ask for details. Don't see what you are looking for? Let us know and we will do our best to accommodate your request. 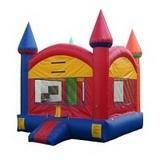 We have a wide selection of inflatables and party equipment to make your event a memorable one. We are constantly adding new products and services so just let us know how we can help. Contact us today and we'll bring the FUN to your next party or event! With Funtastic Party Rentals you can turn your party from ordinary to extraordinary with one of our bounce houses, jumpers, waterslides, combo units, popcorn, cotton candy and/or snow cone machines. 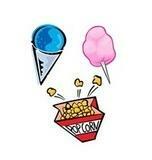 Give your party or event a carnival feeling with our old-fashioned concession machines that everyone will enjoy. 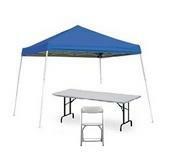 Contact us today and we will help you make your next party a success! 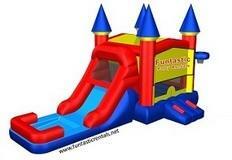 Call Funtastic Party Rentals for bounce house rentals in Roseville and Sacramento!